This is the ultimate movie fan’s dream. 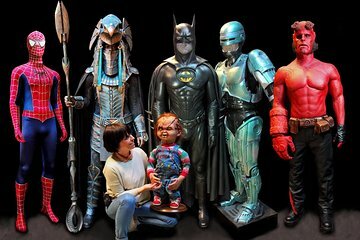 Spend a day in a musum that showcases props, costumes, models, masks, and miniatures from over 200 films. You’ll get behind-the-scenes information on how special effects such as explosions and disasters were filmed. You won’t have to waste time waiting in lines, as your admission ticket is included. Get access to props and miniatures from famous films that you won’t see anywhere else in the world.